The Amsterdam Public Library is a cultural organisation, whose aim is the promotion of the free flow of information within the community of Amsterdam. In addition the OBA provides a centre for meeting and education for all sections of the population. This generates many cultural and promotional activities organised to stimulate and propagate an interest in reading, education and the transfer of knowledge and culture. With 4 million visitors a year, 175,000 members and 26 branches in all neighborhoods, the Amsterdam Public Library is one of the biggest social and cultural hubs of Amsterdam, a lively connection between all people. Curator of OBA, Ilias Zian, who was nominated Amsterdammer of the Year, fights for more diversity and inclusivity in cultural institutions, thus connecting all Amsterdam cultures. 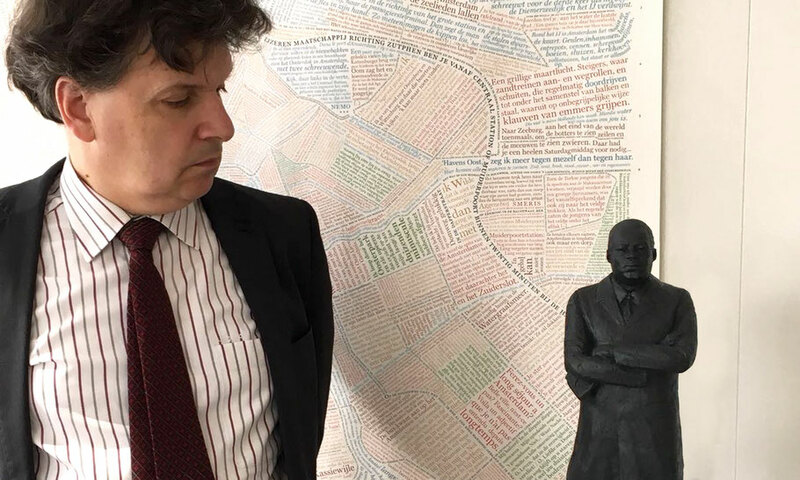 Chief Executive Martin Berendse was happy to include the Martin Luther King statue into OBA's collection, and show it in a public space, so visitors can see it, keeping the dream alive.